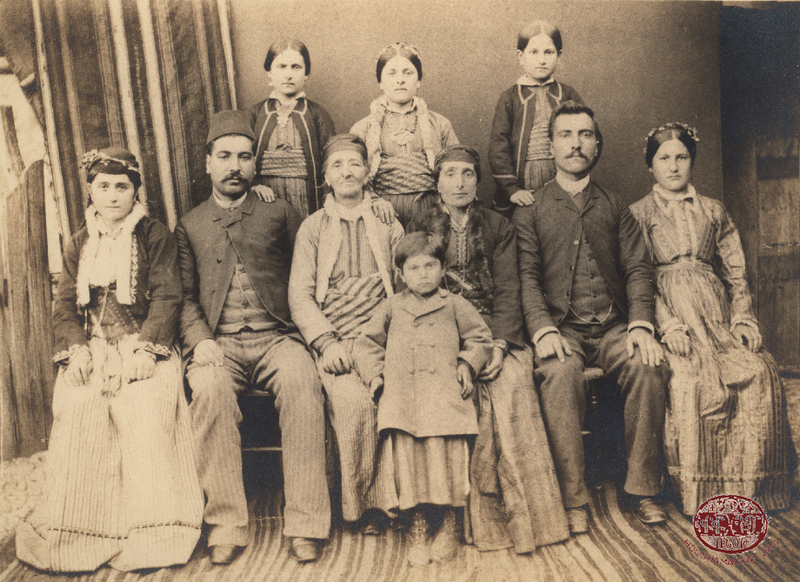 This article analyzes one of the aspects of Armenian life that experienced a period of growth in the late 19th century in the Agn Sub-district – education. 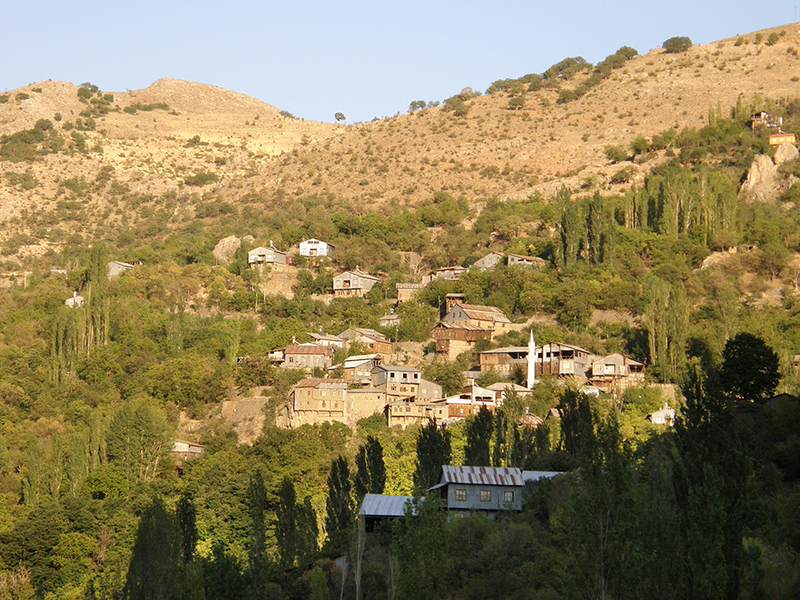 In order to understand how the educational system developed in this small sub-district of the Mamuret-ul-Aziz Vilayet, we must first consider the different aspects of the local educational infrastructure, such as education within the family unit, which was considered to be the foundation of all education by the people of Agn; as well as the intellectual renaissance that the region experienced in the late 19th century, and which resulted in the establishment of a series of new schools and educational institutions. The article presents information and data provided by various sources and pertaining to schools and the state and quality of education in the City of Agn and the surrounding villages. The article also touches on the birth of theater and the publishing industry in Agn, which were byproducts of increased levels of education. The bulk of the article consists of lists, assembled from a variety of sources, of individuals who were born, were educated, worked, and taught in Agn. Information on each individual is presented under the appropriate section devoted to the village in which he or she studied or taught. 1) Cover of Arakel Kechian and Mgrdich Barsamian’s book Agn yev Agntsik [Agn and the People of Agn] (Paris, 1952). For each resident of Agn, education began at home, sometimes at a very young age. An adage popular among the locals, “Education begins in the crib,” attests to this fact. Therefore, before delving into the schools operating in Agn, we must examine how children were reared and educated at home, by parents who practiced traditional methods handed down to them from previous generations. Invariably, the task of educating children was primarily the responsibility of women. From the time children were in their cribs, their mothers would sing lullabies and folk songs to them, through which they came to know their universe, their native land, the natural world that surrounded them, good and evil, truth and delusion, etc. .
Once children reached a certain age, mothers would include them in simple games, and would take them on walks to the orchards where they would wander among the trees and the flowers, run and jump around, swim in ponds, pick fruits from the trees and eat them, etc. . The rearing of children in Agn was not uniform. Boys and girls were not raised identically. Boys, for example, were sent to the school to receive a formal education, and their parents would supplement what they were taught by their teachers. Girls would receive continuous education from their mothers at home prior to being sent to school, in anticipation of their growing up and becoming housewives. Teenage boys had certain privileges. They formed new friendships at school. Outside of schools hours, they spent their time playing in the orchards, climbing the mountains, and generally spending their time in the lap of nature. Girls, on the other hand, spent most of their time at home, with their mothers. They had to learn how to perform domestic chores, become familiar with cooking and kitchen utensils, learn how to sew, etc. The girls would soon learn the requisite skills, and homes would be filled with various hand-sewn embroideries, socks, table sheets, blankets, and pillow cases, each a testament to the tutelage they had received. Upon reaching this stage in their development, girls would be considered worldly and civilized maidens . Boys raised in similarly conducive circumstances would soon become brilliant pupils at school, especially if they possessed some natural aptitude. They were to grow up and fill the ranks of the men, the greats, and the intellectuals of the nation, a large number of whom had hailed from Agn . 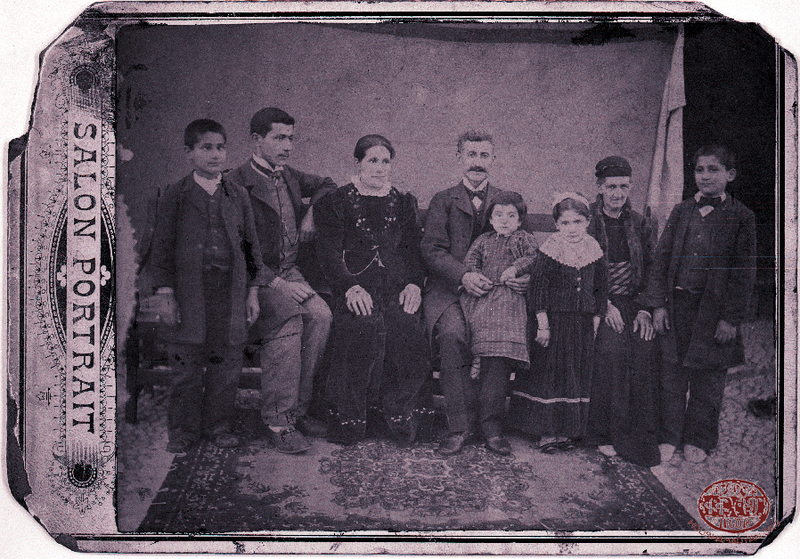 Celebrated poet Siamanto’s (Adom Yardjanian) family, photographed in Istanbul in the early 1900s. They migrated from Agn to Istanbul after the 1895 Hamidian massacres. 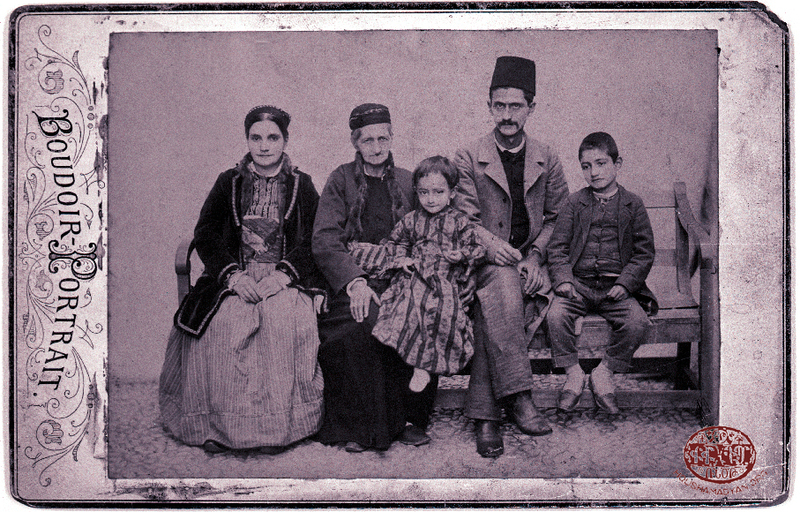 Standing, from left to right – Armenouhi Yardjanian (Siamanto’s sister), an unidentified man, Nazel Yardjanian (nee Parounagian, Siamanto’s mother), and Vahan Yardjanian (Siamanto’s brother). 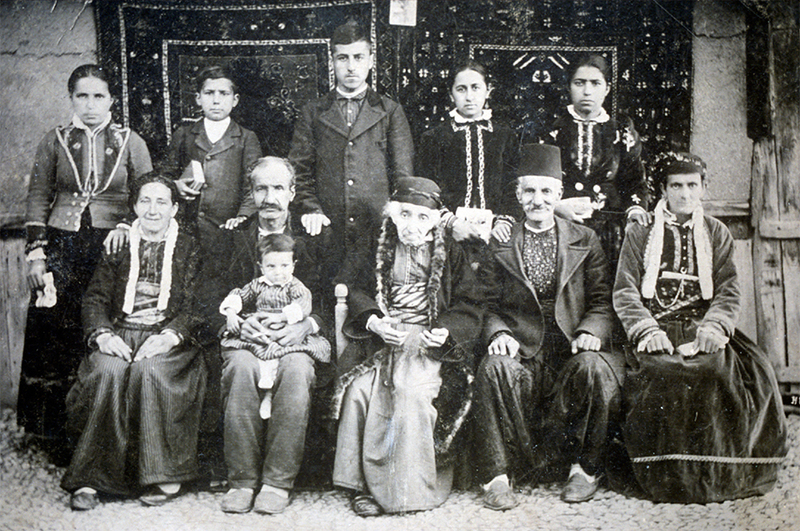 Seated, from left to right – Zabel Yardjanian (Siamanto’s youngest sister), Siamanto’s paternal grandmother (name unknown), and Siamanto’s father (Source: Manoug Atamian Collection, Paris). Information on operational schools in Agn up to the year 1870 could only be found in Father Hovhannes Tertsagian’s memoirs, in which he mentions that “Archbishop Hovhannes Agnetsi, known as Baronder, established a seminary in 1610 at the Holy Savior Monastery, where the pupils, who were called acolytes, were recruited from among the best students of the schools in Agn.” But this account does not provide any details on the number of the “acolytes” (students) or the duration of education offered by the “seminaries” (schools). This source also alludes to Father Mardiros, the abbot of the Holy Savior Monastery and a native of Agn, who established a “seminary” with ten students in 1760 at his monastery. Another source pertains to the term of the Prelate Mikayel Asdvadzapan in 1870, when four men from Agn were ordained into the priesthood. Their names were Father Nigoghos and Father Ghazar (Upper Church), and Father Sdepan and Father Hovhannes (Lower Church). In this account, the author, Mikayel Asdvadzapan himself, mentions that he was the grandson of Father Nigoghos . 2) The cover of Toros Azadian’s book Agn. Nuter ir Mshagouytin yev Badmoutyan hamar [Agn. Topics for its Culture and History] (Istanbul, 1955). According to Karekin Srvantsdyants, it is likely that more than one school operated in Agn from 1620 onwards. These schools used the customary methods and pedagogy of the times, until 1850, when modern schooling was introduced into the area . 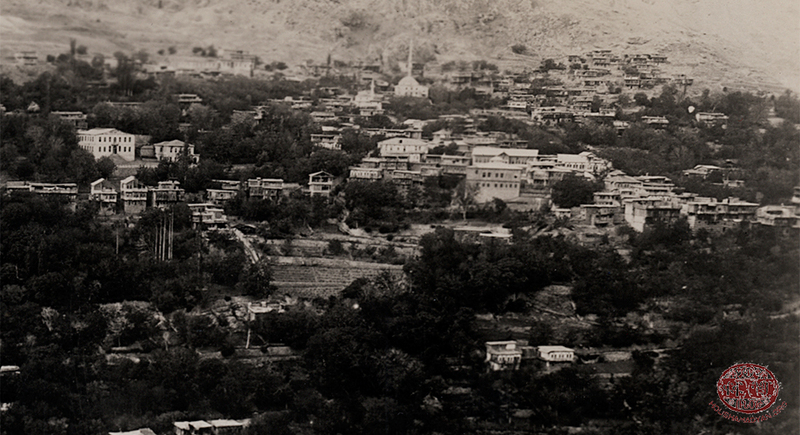 In 1847, the city had two seminaries, adjacent to the Saint Kevork and Holy Virgin churches . The seminary adjacent to the Saint Kevork Church had an enrollment of 120 pupils and three teachers, one of whom taught reading, the second taught religious music, and the third taught Armenian grammar. The seminary adjacent to the Holy Virgin Church had an enrollment of 110 pupils and two teachers, one of whom taught reading, and the other taught church music . “In addition to these two, seminaries operated in the four principal neighborhoods of the city, each with its own teacher, who taught reading to the neighborhood boys” . Djanigian writes that, as he had heard from the elderly, in the 1810s there had been two to three priests in each of the city’s two large neighborhoods who had established schools at their own expense and educated the local children. According to him, the priests taught reading, writing, and some mathematics. Laymen who had worked as teachers in these schools included Tarkhana Garabed, Teacher Zohrab, and others . 1- A new direction for schooling and education replaced the old patriarchal system [involving the figure of the primitive schoolmaster]. 2- The people’s communal spirit manifested itself in the formation of organizations active in the field of education. 3- A theatrical movement began. 4- Efforts were made to promote Protestantism. 5- Attempts were made in the literary and publishing fields. 6- Lecture halls were established and debates were organized. 7- In one word, a new spirit of self-awareness spread, and efforts were made to ensure progress. A new era of intellectual development and progress began in the area perhaps as early as the 1870s. The schools operating in Agn offered the people of the city and the sub-district a level of education equivalent to, and perhaps slightly higher, than the education offered by the schools of Istanbul . By the end of the 19th century, several Armenian educational organizations (the Patriotic Union, Scholastic Society, Aramian Society, and Naregian Society) and two co-educational schools (Naregian and Nersesian) operated in Agn. The formation of the aforementioned organizations spurred the establishment of a series of new schools in Agn . In the late 19th century, the schools of Agn provided instruction in religion, morality, Armenian language, national history, mathematics and arithmetic, accountancy, geography, calligraphy, singing, physical education (during recess hours), health, principles of natural science, and elementary Turkish and French . “The youngest students were six years old, and the oldest 15. They usually entered the school around the age of six or seven, and left it around the age of 12 or 13. With few exceptions, the students had 15 days of holidays during the year. Their diet consisted of simple food. The pupils’ attire was half-Anatolian and half-European. The pupils were exclusively Armenian (in 1884, two or three Hay-Horom boys in the Vank Village, and one or two immigrant Greek boys in the Gumushkhanets Village also attended Armenians schools). The sexes were segregated and the parents would not accept their intermingling” . The National Board – Perhaps half a century before 1895, meetings of the board were convened in Agn, during which all discussions were held, tithes were distributed, and all pending issues related to churches and schools resolved. Soon, a provincial general summit was organized, and meetings were held to discuss religious and political issues, convened sporadically until 1895. An educational and financial council were elected. In 1895, neighborhood councils and boards of trustees of schools operated in the city and the villages. These meetings and groups had their own executive boards and kept regular minutes (there were two prelacies attached to each of the two churches, where the meetings of councils and boards were held) . The Patriotic Union was founded on May 1, 1862. The organization’s objective was to raise 100 Ottoman pounds and finance the construction of the Central School in Agn. Aside from the Central School, the organization also established another school in 1864-1865. Unfortunately, this school closed one or two years later. Yet another school, the Lousavorchian School, was founded in 1873, but once again, within one or two years, it was closed due to lack of finances. The Patriotic Union operated for five years, and the Central School it founded operated for four years. The organization had its official bylaws and convened regular meetings. As of 1895, the organization had 500 Ottoman pounds of short-term loans, 20 stockholders, 30 pounds of debt, etc. According to S. Tavtian, the Patriotic Union was the first organization in Agn to support the local educational system, and administered the Central School in the city for some time. The school’s students were picked from the graduates of two primary schools, the Naregian and Nersesian. Among the graduates of the Patriotic Union’s Central School were Doctor Smpad Kaprielian, A. Nigoghos Toutouayan, and others. Soon, renowned educational expert Khosrov Mouratian was invited to serve as the principal and a teacher at the school, and was offered a full salary package. He taught Armenian, Turkish, French, and English. Another teacher who taught Armenian and French was Azaria Tertsagian, a colleague of Mouratian’s. Tertsagian taught not only in the city, but also in the neighboring villages . Alongside the Patriotic Union, another public organization, the Scholastic Society, was founded in Agn in August of 1872. The organization’s objective was to make funds available on a weekly basis, and to make other donations, to initiate a series of educational lectures and to establish a lecture hall and community library, alongside a museum. The organization was founded by the faculty of the Central School, including those who had left for Istanbul but had later returned to their homelands, such as Hagop Korian, Zareh Torosian, Haroutyun Reisian, Sdepan Mazmanian, and others. The organization’s original founders were Dr. Kaprielian, Hagop Korian, Zareh Torosian, Haroutyun Reisian, Sdepan (a pharmacist), Kh. Mazmanian, and others. During the years of its existence, the Scholastic Society founded a lecture hall, a library, and a museum. The organization also published the Dzaghig [flower] weekly periodical. The organization functioned for five or six years, and was dismantled due to political pressure . The Tankaran illustrated schoolbook. It was published in Istanbul, in 1911, and was authored by Hrant Asadour and Zabel Asadour (Sibil). This textbook was widely used in the classrooms of Istanbul and the provinces. After the dissolution of the Patriotic Union and Scholastic Society, many of their founders left for Istanbul. However, some stayed behind in Agn, including Hagop Korian, Haroutyun Reisian, Zareh Torosian, S. Tavtian, Pilibos Kechian, Sdepan Parounagian, Ghougas Prigian, Haroutyun Apkarian, K. Panosian, and others. These men began a powerful new movement in Agn, and organized rallies that gave voice to the concerns of the people regarding the political and economic issues they faced. Their movement soon caught the attention of Agn natives who had migrated to Istanbul. This culminated in the establishment of the Aramian Society in 1878-1879 by these emigrants living in the capital. The organization’s purpose was to contribute to the building of new Armenian schools in Agn. To achieve this purpose, the organization first aimed to secure the appointment of a fully authorized prelate for the churches of Agn. The founders appealed to Father Karekin Srvandtsdyants to intercede on their behalf, and the latter was able to persuade the Patriarchate to dispatch Father Karekin as a prelate to Agn. He had also been sent to the area as an inspector/delegate after the 1877 Russo-Turkish War, which had devastated Agn . After the failure of the Aramian Society, former members of the Patriotic and Scholastic unions living in Istanbul founded the Educational Union in 1882. According to Djanigian, the Educational Union was founded in the reading hall of the Scholastic Society and in the presence of members of the Aramian Society. According to Kechian, the organization operated for one year, and was then dissolved and merged into the Naregian Society, which by the time of Kechian’s account had already ceased to function. The two organizations were not able to achieve their objectives due to internal discord. The total budget of the Educational Union was 200 Ottoman pounds, most of which was borrowed . Pages from the Tankaran schoolbook. The Naregian Society was founded in 1882, with the Educational Union merging into it. It functioned for only a short time . The Central School was established with the goal of bringing under one roof the graduates of the Naregian and Nersesian schools of Agn and the parochial schools of the sub-district’s villages. The school’s principal was Khosrov Mouratian, who had received his education in Istanbul. He was a scholar of the Armenian language and a linguist, and he also taught at the Aramian School in Gamaragab . Kisag Papazian (1897, Gamaragab). He received his primary education at the Aramian School of Gamaragab and the primary school of Abouchekh before enrolling at the Central School. In 1926, with several compatriots, he founded the Agn Compatriotic Union in Paris, which provided support to the reconstruction of the New Agn neighborhood in Noubarashen (Soviet Armenia). Yeremia Partoghian (1862, Gamaragab). He received his primary education at the Aramian School of Gamaragab, and was one of its brightest graduates. He would later become a future scholar of the Armenian and French languages. He worked for decades as a teacher and principal, and led the village school, preparing future teachers who played an important role in the educational field in the countryside of Agn and in Istanbul. Some of the most notable among them were Vahram Ardzrouni, Armenag Shepigian, the three Deovletian brothers, Maghakia Papazian, Ghazar Haladjian, and others. He was devoted to the field of education and pedagogy. He was killed during the massacres of 1895. Yervant Timourian (Ashod Yergat) (September 27, 1854, Agn). He received his primary education at Naregian and Nersesian, then moved on to the Central School. He later participated in the work of establishing lecture halls and theaters. He also oversaw the publication of collotype newspapers. Nigoghos Totouyan (1856, Agn). He received his primary education at the Nersesian School of Agn, and was then admitted to Central School, then newly founded by the Patriotic Union. He successfully graduated from the Central School. He was one of the proponents of the intellectual renaissance in Agn. Other alumni: Smpad Kaprielian (doctor), Sdepan Kantarjian, Avedis Jamgochian, Smpad Tavtian, Andon Kulusdian, Arakel Khanazad, Hayg Hopigian, Margos Narlian, Sdepan Narlian, Haroutyun Begian, Arshavir Soukiasian, Yeghishe Vartanian . Azaria Tertsagian (1851, Agn). He received his primary education at the Naregian School. He later became a scholar of the Armenian, Greek, and French languages. After working for some time for the Ottoman customs agency in Istanbul, he returned to Agn in 1885. He worked for 36 years at the Naregian, Nersesian, and village schools as a principal, but always retained his connection with the Naregian School, where he taught. He also taught at the Central School. He was killed during the Hamidian massacres in 1895. Khosrov Mouratian. He served as the principal of the Central School of Agn, where he also taught . In 1855, the lower neighborhood’s Nersesian School, which also served many students from the upper neighborhood, underwent renovations sponsored by a board of trustees consisting of prominent locals. The school’s furniture was also renovated. The composition of the board of trustees soon changed, but the renovations continued uninterrupted. New teachers came to teach at the school, adding to the number of subjects offered to students. According to Djanigian, these new subjects were geography, accountancy, Turkish, French, etc. Catechism, national history and the history of the Holy Books, Armenian grammar, and mathematics were already being taught. The school had an enrollment of 200 boys and 80 girls. The school’s yearly costs were 17,700 kurus . Adom Yardjanian (Siamanto) (1878, Agn). He received his primary education at the Nersesian School, where he was taught by pundit and rhetorician Karekin Srvantsdyants, who gave the moniker “Siamanto” to the teenage Adom. Yervant Timourian (Ashod Yergat) (September 27, 1854, Agn). (See the “Alumni” sub-section of the section on the Central School). 2) A page from the Tankaran schoolbook. Levon Der-Maridorosian (1885, Agn). He received his primary education at the Nersesian School of Agn and graduated from it in 1903. He then worked at the school for two years. Madteos Der-Madteosian (1895, Agn). He received his primary education at the Nersesian School of Agn. During the period of the Genocide, Der-Madteosian was in the Agn area, and from 1915 to 1918 he was compelled to work as a servant for a Turkish bey. After the Armistice, in 1919, he began teaching at the reopened primary school of Agn. At the same time, he served as the executive secretary of the Agn Compatriotic Union in Aleppo, contributing to relief efforts in the City of Agn and helping Armenian refugees native to Agn. Melkon Kebabdjian (1884, Agn). He received his primary education first at the Naregian, and then at the Nersesian schools. He had his own workshop in Agn, where he produced hand-made, original work, engraving floral motifs on various manousas (type of cloth). He later became a master craftsman and artist. Hovsep Djanigian (1840 or 1841, Agn). He received his primary education at the Nersesian School. He then devoted himself to the profession of teaching outside of Agn. He is well-known for his book Hnoutyunk Agna (Antiquities of Agn), published in 1880. Nigoghos Totouayan (1856, Agn). (See the “Alumni” sub-section of the section on the Central School). Vahan Kouyoumdjian (1880, Agn). He received his primary education at the Nersesian School. Later, he served as a teacher and principal of the Nersesian and Naregian schools of Agn. 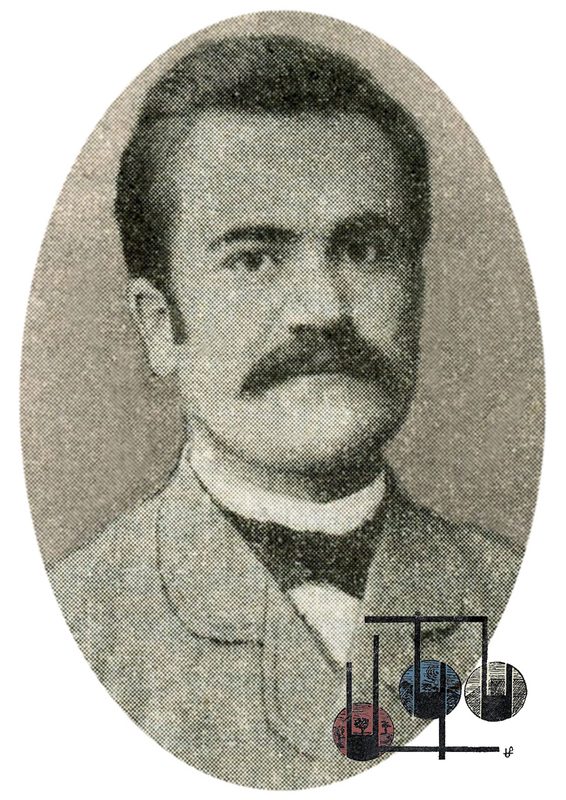 Other alumni – Vahan Yardjanian (1887, Agn, Siamanto’s brother), Kevork Shishmanian (1838, Agn, future Protestant clergyman), Krikor Vosganian (1884, Agn, future doctor), Garabed Manavian (1866, Agn, future Protestant clergyman), Mardiros Iknadiosian (1842, Agn, future Protestant clergyman), Hovsep Lousinian (1894, Agn), Movses Lousinian (1880, Gamaragab), Krikor Kalsdian . Vahan Kouyoumdjian (1880, Agn). (See the “Alumni” sub-section of the section on the Central School). The Naregian School of the upper neighborhood, like the Nersesian School, was sometimes in a state of disrepair, and at other times was renovated by the board of trustees entrusted with its management. It had an enrollment of 184 boys and 54 girls. The school’s yearly costs were 10,800 kurus. The first theatrical production in Agn, which was a performance of “Saint Nerses the Great,” was performed in 1873 at the Naregian School. The roles were assigned by A. Tertsagian, and he himself played the role of Saint Nerses. The other roles were played by Hagop Korian, Zareh Torosian, Yervant Timourian (as Father Ashod Yergat), the pharmacist Sdepan Berberian, Haroutyun Reisian, Melkon Mazmanian, and others. Tickets for the play were sold to the public, and the proceeds were donated to the Scholastic Society and earmarked for the establishment of a library in Agn . Azaria Tertsagian (1851, Agn). (See the “Alumni” sub-section of the section on the Central School). Toros Azadian (1898, Abouchekh). He received his primary education at the Varak School of Abouchekh and the Naregian School of Agn. 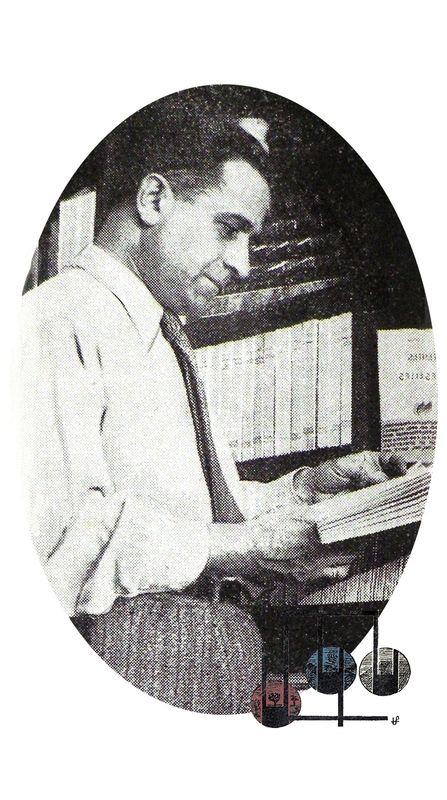 He is known for his two works – Agn yev Agntsik [Agn and the People of Agn], published in Istanbul in 1943; and Agn. Nuter ir Mshagouyti ou Badmoutyan hamar [Agn. Topics for its Culture and History], published in 1955. Haroutyun Diradourian (1871, Agn). He received his primary education at the Naregian School of Agn. In 1894-1895, he served as the principal of the school in Pingian, and in 1895-1896 of the Naregian School in Agn. By that time, academic subjects were beginning to be taught separately at the school, with the aim of improving the quality of education. But in the autumn of 1895 came the Hamidian massacres, and Diradourian, too, was killed. Hovhannes A. Amirents (Agn). He received his primary education at the Naregian School of Agn. He wrote satirical literature. He later became a clergyman. Sarkis Kasabian (Kharpert). He moved to Agn at a young age, and studied at the Naregian School. At the time, the principal of the Central School of Agn was Khosrov Mouratian, who took the teenage Sarkis under his wing. For years, he made great academic progress, learning multiple foreign languages – French, English, Greek, and Italian. After Mouratian’s departure from the position, Kasabian was appointed principal of the Central School. Other alumni – Mardiros Iknadiosian, Bedros Hintlian . Zareh Torosian (Gamaragab). He received his primary education at the Aramian School. He actively participated in cultural activities in Agn. After graduating from the school, he worked as a teacher at the Naregian School, and also participated in the theatrical production organized by Azaria Tertsagian. He died in 1908, in Istanbul. Hovhannes Tertsagian (Agn). He was employed as a teacher at the Naregian School in 1860. Later, he became a clergyman. Bedros A. Kasian (Pingian). He was one of the principal teachers and principals of the Naregian School (in 1912-1914). Later in life, he became a clergyman. Vahan Kouyoumdjian (1880, Agn). (See the “Alumni” sub-section of the section on the Nersesian School) . Protestants in Agn had their own meetings halls and schools. In 1871, only five to ten people in Agn professed to be Protestants. By 1895, this number had already risen to 25 households . Garabed Manavian (1866, Agn). He received his primary education at the Nersesian School of Agn. He would later become a Protestant clergyman. Mardiros Diradourian (1861, Agn). He received his primary education at the Protestant school of Agn. He then entered the field of teaching and taught in Antioch and Agn . It was located in the Arek neighborhood of Agn. It had an enrollment of 20 boys and five girls. The nursery’s yearly operating costs were 800 kurus . Armenian organizations functioning in Agn were also active in the field of media. Attempts were made to disseminate hand-written news reports and to foster the love of reading among the people. Soon, the leadership of the Scholastic Society began publishing a weekly periodical named Dzaghig [flower]. Protestant Pastor Mardiros Iknadiosian founded another newspaper in Agn. A.N. Totouayan published the Yeprad [Euprates] newspaper, and Haroutyun Bleokhian from Abouchekh (later known as Father Karekin of Gamaragab) published the Mdrag [whip] weekly paper, which had liberal and anticlerical leanings. Soon, however, scientific and religious debates were stoked by the newly established media entities. The Protestant paper launched a campaign against Dzaghig, alleging that the latter was desecrating the sanctity of Sundays by providing free education to the people instead of focusing solely on reading the Holy Book. This dispute intensified to the point that beautiful copies of the Bible printed by the Protestant printing press and distributed to the people at no cost were publicly burned . 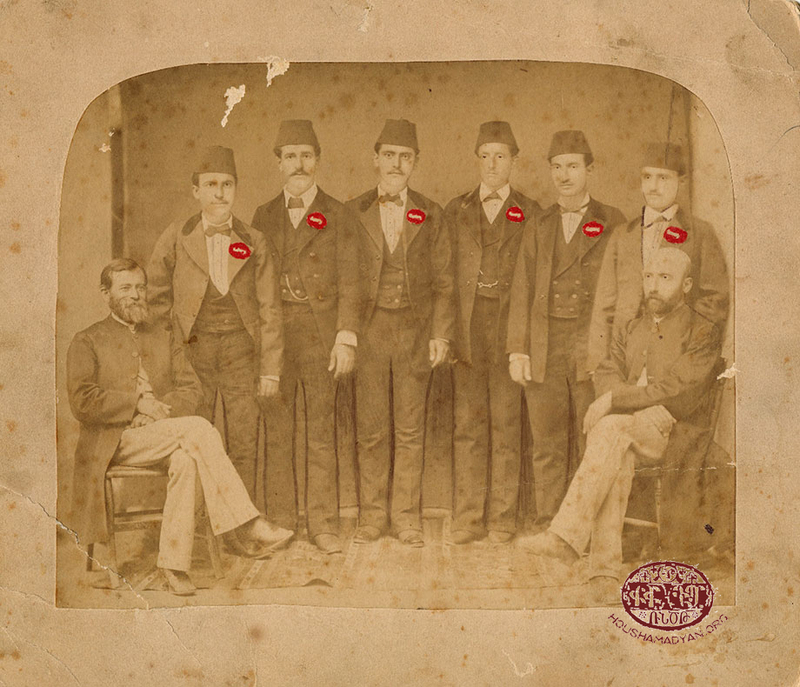 The Varak Alumni Association operated from 1878 to 1883, and was founded by youth in Istanbul who hailed from the villages of Abouchekh and Cheraz. The organization’s goal was to support the two schools in the village by providing them with equipment and stationery and by renovating several of the village church’s properties in Istanbul. However, only two years after its formation, heeding the appeal of Minas Cheraz, the organization decided to no longer engage in the renovation of properties, and instead devoted itself to the establishment of a girls’ school in Abouchekh. The Association also adopted the educational program of the United Armenian Society. The May 24, 1882 issue of the Masis newspaper published an excerpt from a letter sent from Agn, which mentioned that thanks to the efforts of the Varak Alumni Association, the students of the Abouchekh-Cheraz girls’ school, in the presence of a large number of people, had passed the school inspection with flying colors, and that the inspector had expressed surprise that the school’s pupils had made so much progress in a mere three years. The excerpt also mentioned that the Association intended to reward teacher Verkine Mousheghian, who had been dispatched to Abouchekh to teach, with a gold watch, and to reward the students with medals, in recognition of their hard work . The Arshalouys Youth Union was founded in 1847 by Shavarsh Hoveyan, Hmayag Azadian, Yeghishe Vartanian, Haroutyun Begian, Sdepan Aknavorian, Srabion Papazian, and others. The Union established a lecture hall, theater hall, and a rich library in Agn. Two of the organization’s founders, Shavarsh Hoveyan and Hmayag Azadian, were also active in the field of politics, specifically in the work of organizing the self-defense of Armenians. They had contact with organizations operating in Arapgir, and the liaison between them and these organizations was the teacher Yughaper Bahlavouni. As a result of their political activities, which caused the organization to depart from its original mission, Shavarsh Hoveyan and Hmayag Azadian became undesirables in Agn and left the city. The organization was then disbanded. During its lifetime, the Union organized theatrical productions and also benefited the locals with the evenings and the lectures it organized . In 1847 Abouchekh had “a school, whose sole teacher taught both church music and Armenian grammar.” The school had an enrollment of 78 pupils . In 1878, Srvantsdyants noted that the school was “in ruins and in a terrible state of dilapidation,” which affected the village’s and the school’s reputation . In 1883 the school had 90 male and 50 female pupils, and three male and one female teachers. The school’s yearly costs were 9,300 kurus. The pupils were taught Armenian and Turkish. One of the benefactors who provided support for the Varak School was Hovhannes Agha Andonian, who made scholarships available to students, covered the running costs of the school, and left it a legacy of 10,000 kurus as an endowment (at the time, wealthy individuals would buy properties in Istanbul, and use the proceeds from those properties to fund the boys’ and girls’ schools of their native villages). When the money left by Andonian was exhausted, the villagers raised 16,000 kurus to sustain their school . A second benefactor of the school was Haroutyun Agha Papazian, who donated 400 Ottoman pounds’ worth of bonds. These bonds yielded 60 pounds of interest per year initially, but soon their value fell sharply to only 100 pounds. According to Djanigian, these funds were managed by the church, which oversaw for the school’s finances . A third benefactor was Kevork Agha Akragtsian, a native of Abouchekh, and who lived in the Romanian city of Ploiesti, where he had made his fortune in trade. According to Eprigian, he had donated 150 Ottoman pounds to the construction of a new school building in the village . According to figures concerning the year 1899, the school had an enrollment of 80-90 pupils who were taught by two teachers. The students paid fees to attend the school, and the church was responsible for the all of the school’s costs. According to Kechian, the quality of instruction was quite satisfactory. The school used the educational program devised by the educational council of Istanbul, which had been finetuned to align with local conditions . The school had an enrollment of 90 boys and 50 girls, and three male and one female teachers . Toros Azadian (1898), Asadour Barsamian (1860), Meroujan Barsamian (1883), Mgrdich Barsamian (1886, future editor of Arakel Kechian’s Agn yev Agntsik), Parsegh Durgerian (1831), Kourken Nshan Papazian (1888, future doctor), Sebouh Papazian (Abouchekh) . Yughaper Bahlavouni (1856, Agn). She received her primary education at the Aramian School, and was then appointed assistant teacher at the Abouchekh girls’ school. After 1878, she became one of the leaders of the intellectual movement in Agn, and challenging the norms prevalent at the time, participated in theatrical productions, always playing the roles of queens and princesses . In the second half of the 19th century, alumni of the Central School living in Gamaragab founded many educational organizations, which were supervised by Khosrov Mouratian and Azaria Tertsagian. These two men also taught at the Aramian School of Gamaragab, and had gathered a group of energetic youth around them. 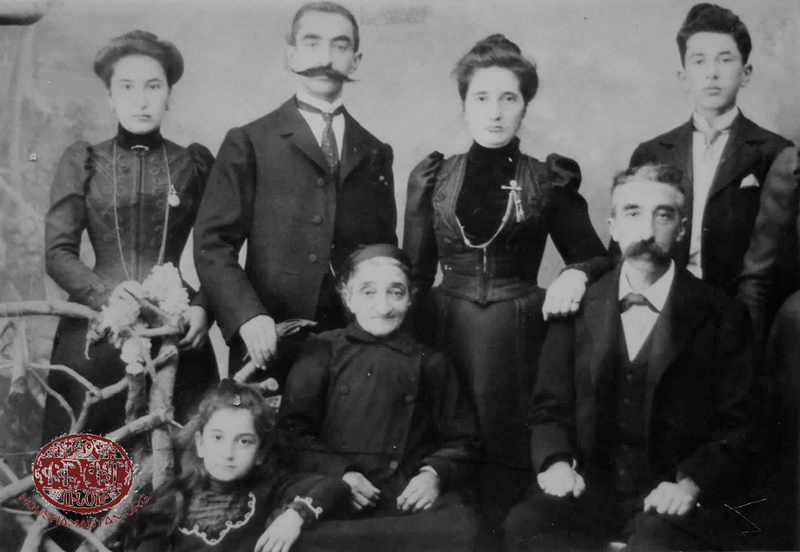 Thus, the Azakanazian Society was re-established in Gamaragab in 1873, founded by Yeremia Partoghian, Krikor Sarian, Mgrdich Mamigonian, Sdepan Karageozian, Arakel Khanzatian, Nshan Torosian, Garabed Altounian, Nerses and Mikayel Haladjian, and others. The society operated until 1879, and was active in the field of education and schools. The Azkanazian Society built a theater in Gamaragab and established a theater company, and also founded the “Mdrag” newspaper, which was edited by Karekin Bleokhanian (later Father Karekin Ardzrouni). 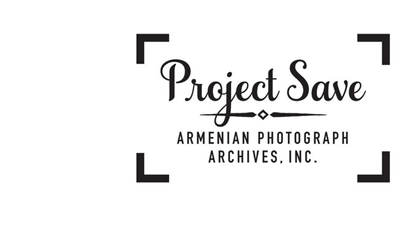 The Azkanazian Society devoted all its financial resources to cultural work . The Scholastic Society was founded by several elderly residents of the village, with the goal of preserving traditional customs. It had some success in securing financial resources, but ultimately could not stem the tide of modern practices infiltrating the village, as these had already been rooted among the youth. The organization, which was founded in 1876, with all the wherewithal at its disposal, was only able to construct one library, built of walnut wood, which housed many books . This organization was founded in 1875 by Varvare Altounian, Khanarh Khanzatian, Nazlou Movsesian, Dirouhi Kherian, Tensuf Berian, Mariam Torosian, Khadem Kherian, Asdghig Arabian, and others. It operated for four years. The society’s goal was to teach domestic skills and sewing to the indigent and orphaned girls of the village, and then to arrange for them to be married. The girls would also receive dowries of funds upon marriage . 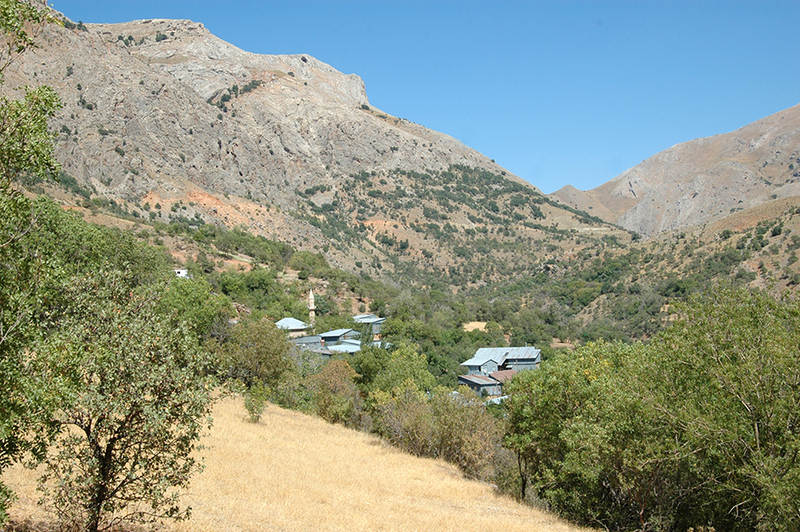 The Santoukhdian Girls’ School operated in Gamaragab. In 1883, it had an enrollment of 54 pupils. Five male and one female teachers taught at both the Santoukhdian and Aramian schools . The Aramian school was housed in a three-story building. In 1883, it had an enrollment of 78 pupils. The combined budget of the Aramian and Santoukhdian schools was 11,000 kurus, obtained from the income generated by properties in Istanbul. According to Djanigian, these properties included 25-30 shops worth 2,000-3,000 Ottoman pounds and generating 200 pounds of yearly income. Some of these funds were allocated to the church. Thanks to these properties, the school had a generous budget, thanks to which the pupils studied at no cost and received their books and stationery from the school. Thanks to the efforts of the residents of Gamaragab, the Aramian School was the first to invite highly qualified teachers from Istanbul to teach, and soon became an advanced primary school. This arrangement of bringing teachers from the capital lasted about 10 years, until 1895. This school produced teachers and principals who served not only in the Ottoman provinces, but also in the parochial schools of Istanbul . According to Djanigian, Kechian, and the Sourhantag newspaper, the school had an extensive library of thousands of books . The salary of the Turkish language teacher at the Aramian School was paid by the Ottoman authorities. This teacher was the first secretary of the Agn Mejlis-i-Idare (administrative council). He taught his Turkish language classes once a week. This system was established thanks to Sarkis Tateosian’s son, who had made the request of the Ottoman government upon receiving an imperial award from the authorities . According to figures from 1874, Gamaragab had one other school, where two teachers taught reading and church singing. The school had an enrollment of 68 pupils . Armenag Shepigian (1876, Gamaragab). He received his primary education at the Aramian School. From a young age, he worked as a teacher in the schools of Abouchekh and Gamaragab. In the 1900s, he worked for S. Tavtian’s “Puragn” journal, writing on the geography, ethnography, and demography of Agn and neighboring villages. Kegham Ardzrouni (1885, Gamaragab). The son of Nshan Bleokhanian from Abouchekh. He received his primary education at the village’s Aramian School. He then traveled to Paris to perfect his French. After his return to his homeland, he served as a teacher in various schools of Agn. Krikor (Gigo) Torosian (1880, Gamaragab). He received his primary education at the Aramian School. He later worked as an editor for various newspapers. Yeremia Partoghian (1862, Gamaragab). (See the “Alumni” sub-section of the section on the Central School). Zareh Torosian (Gamaragab). (See the “Faculty” sub-section of the section on the Naregian School). Vaham Ardzrouni (1857, Yerzincan). The brother of Kegham Ardzrouni. He relocated to Gamaragab at a young age with his uncle, Father Karekin. He received his primary education (1881-1892) at the Aramian School of Gamaragab. He emigrated to Soviet Armenia, and studied Classical Armenian and ancient Armenian manuscripts in Echmiadzin. Yughaper Bahlavouni (1856, Agn). (See the “Faculty” sub-section of the section on the Varak School). Arakel Kechian (1885, Agn). He received his primary education at the Aramian School. After graduating from it, he worked as an accountant in Agn until 1908. He is known for his works Agn yev Agntsin, published in Bucharest in 1942, and Agn yev Agntsik, published in Paris in 1952. Serope Baiyan, Tovmas Berian (1820, future actor), Ardashes Papazian (1867, future clergyman), Kisag Papazian, Madteos Torosian (1875), Nshan Torosian (1858), Mardiros Hanesian (1875), Markar Mazlmian (future doctor), Misak Medzarents (1886) . Teachers: Nshan Torosian (1858), Khosrov Mouratian, Serope Baiyan (1868). Yeremia Partoghian (1862, Gamaragab) (see the “Alumni” sub-section of the section on the Central School) . 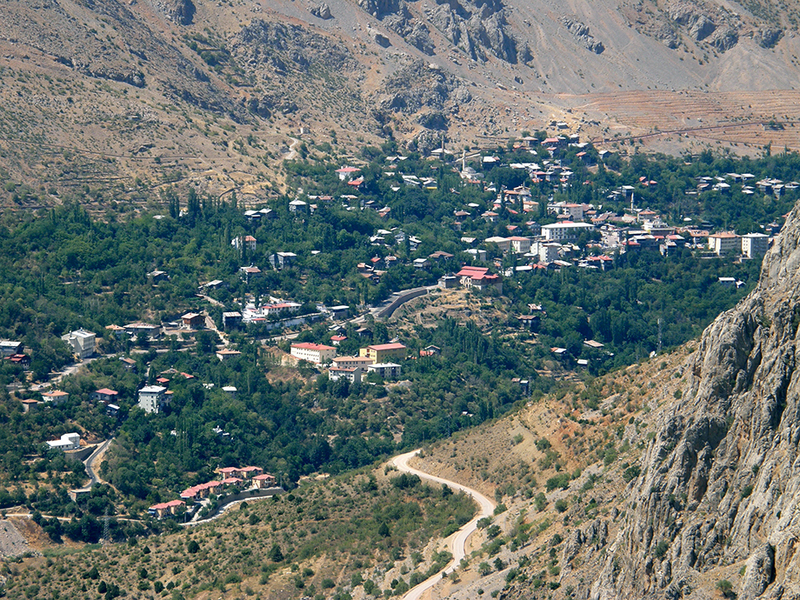 According to figures from 1847, The Village of Garoushla had a parochial school, with an enrollment of 20 pupils. One of the village priests taught the students how to read and write. The Sahagian Nursery also operated adjacent to the school, and had an enrollment of 9 boys and 10 girls. The nursery’s yearly budget was 2,000 kurus. The village school provided instruction in Armenian grammar, mathematics, and religion. Bright students from the village proceeded to attend the school of Gamaragab . In 1847, the village had a nursery called Sahagian, with an enrollment of 10 students. They were taught how to read and write by one of the village priests. A school operated adjacent to the nursery, and had 15 male and five female students in 1883. Both schools’ combined yearly budget was 1,500 kurus. The village priest provided instruction at the school. As of 1915, the school had not been able to progress beyond its status as a nursery . In 1847, Lidjk had one school, where the local priest taught reading, writing, and Armenian grammar. The school had an enrollment of about 30 pupils . In 1874, the village residents, who greatly valued education, not only raised the funds necessary to renovate the school building and equip it properly, but also to employ a teacher from Istanbul to teach. Unfortunately, the school was closed two years later, because the teacher was not being paid, and the teacher’s abilities were being called into question by the villagers. Another two years later, the school had a new teacher, but the locals once again failed to embrace him, as he only taught Armenian and mathematics. After working in the village for four years, this teacher, too, left the village for Istanbul . Karekin Srvantsdyants wrote that in 1878, the village lacked a functioning school . In 1883, the village school was named Haygian and had an enrollment of 30 boys and 10 girls. The school employed one teacher who taught Armenian, mathematics, geography, and other subjects. The school’s yearly budget was approximately 900 kurus . According to Kechian, the school was called Makrouhian and had an enrollment of 30-40 pupils. The village church and the school were funded with income derived from properties the church owned in Istanbul and a few tracts of farmland it owned near the village . One of the more celebrated teachers working at the school was Khachadour Pingiantsi (born in Pingian in 1870), who was an alumnus of the Pingian village school. He worked as a teacher in both Pingian and Lidjk. He was killed in 1895 during the Hamidian massacres . In 1886, two schools operated in the village – the Mesrobian School for boys and the Nanian School for girls, with enrollments of 110 and 130 pupils respectively (or 120 and 60 pupils respectively, according to K. Srvantsdyants). According to Kechian, the schools functioned at a satisfactory level. Five teachers of both sexes taught at the schools, which had a combined yearly budget of 10,000 kurus . Among the boys’ school’s graduates were Hovhannes Avakian (born in 1882, in Pingian) and Vahan Arslanian. Among the faculty were Asdvadzadour Medzadourian, who worked at the village school in the capacity of principal and an expert in the French language. Until the Hamidian massacres, he was also the mayor of the village. Among the faculty were also Ghazaros Medzadourian, who worked for long years in the school of Pingian as principal and linguist; and Marouke Minasian . The school of the Village of Vank had an enrollment of 30-35 pupils and included a primary school for female students. According to Djanigian, the school had two teachers, the senior among them from the City of Agn, and the other a Greek Orthodox (roum) priest. The Greek priest taught Greek and catechism . This school operated adjacent to the Saint Hovhan Vosgeperan Church of Shrzou. It employed a teacher from the City of Agn. The school shuttered its doors prior to 1915. Most of the village residents seeking education relocated to Istanbul . The following is a list of alumni and faculty of the schools of Agn and neighboring villages, and whose affiliations with specific schools cannot be confirmed by sources. In parentheses, we have provided the individuals’ birthplaces and future occupations. Smpad M. Kaprielian (Agn, future doctor), Hovhannes Kaboulian (Agn), Hovhannes Kasbarian (Agn, future doctor), Sarkis M. Dzotsigian (Agn), Nigoghos Msrian (Agn), Karekin Ardzrouni (Aboucheckh, future clergyman), Aliksan Papazian (Aboucheck, future leader in the field of theater), Baghdasar Papazian (Abouchekh, future doctor), Kisag Papazian (Abouchekh), Haroutyun Kahvedjian (Abouchekh), Bedros Kahvedjian (Abouchekh), Arm. 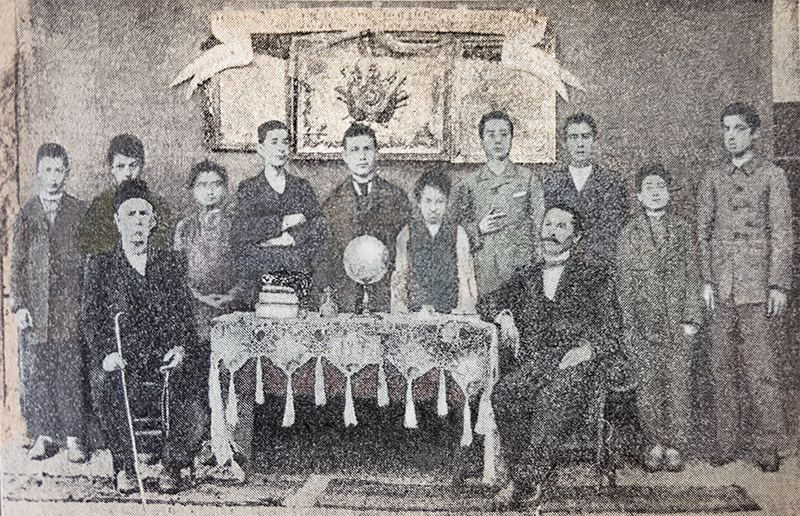 Zakarian (Abouchekh), Markar Hoveyan (Abouchekh), Yevkine Moushian (Abouchekh), Shahen Shahenian (Abouchekh), Toros Begian (Abouchekh), Mgrdich Begian (Abouchekh), Yeghishe Vartanian (Abouchekh), Nshan Avakian (Abouchekh), Kourken Medzadourian (Pingian, future doctor), Kevork Begian (Pingian, future doctor) . Kegham Ardzrouni (Agn), Mgrdich Kalenderian (Agn), Ardashes Papazian (Agn), Madteos Der-Madteosian (Agn), Haroutyun Apkarian (Agn), Avedis Kalenderian (Agn), Melkon Kalenderian (Agn), Hagop Korian (Agn), Avedis Tertsagian (Agn), Nazeni Terzian (Agn), Khachadour Timourian (Agn), Dirouhi Torosian (Agn), Levon Goshgagarian (Agn), Satenig Ghazarian (Agn), Khachig Mazmanian (Agn), Karekin Mardigian (Agn), Hovhannes Mardigian (Agn), Apraham Mouhibian (Agn), Yevkine Moushian (Agn), Mgrdich Shemsian (Agn), Youliane Vosganian (Agn), Mgrdich Chinidjian (Agn), Haroutyun Begian (Agn), Krikor Chorian (Agn), Pilibos Chorian (Agn), Bedros Saiyan (Agn), Vahan Saiyan (Agn), Ghougas Semirdjian (Agn), Yeghishe Vartanian (Agn), Ghougas Vartanian (Agn), Asdvadzadour Der-Mesrobian (Agn), Boghos Der-Boghosian (Agn), Hagop Diradourian (Agn), Makrouhi Diradourian (Agn), the brothers Dikran, Arshag, and Kevork Deovletian (Agn), Sarkis Papazian (Agn), Sdepan Papazian (Agn), Boghos Kanarian (Agn), Armenouhi Keledjian (Agn), Khachig Kechian (Agn), Makrouhi Tensouf (Abouchekh), Ardashes Papazian (Abouchekh), Karekin Ardzrouni (Gamarabad), Armenag Shepigian (Gamarabad), Ardashes Papazian (Gamarabad), Dirouhi Parseghian (Gamarabad), Bedros Torosian (Gamarabad), Hampartsoum Havadjian (Gamarabad), Ghazar Haladjian (Gamarabad), Mikayel Haladjian (Gamarabad), Nerses Haladjian (Gamarabad), Mgrdich Mamigonian (Gamarabad), Markar Markarian (Gamarabad), Boghos Markarian (Gamarabad), Bedros Kharmanian (Lidjk), Melkon Melkonian (Lidjk), Sdepan Avakian (Pingian, future musician), Vartan Arslanian (Pingian, future clergyman), Bedros A. Kasian (Pingian), Khachadour Pingiantsi (Pingian), Kevork Begian (Pingian), Hovhannes Tanielian (Pingian), Mgrdich Tatarian (Pingian), Khachig Ghonchegulian (Pingian), Nshan Ghonchegulian (Pingian), Dadjad Melkonian (Pingian), Tavit Pishdofian (Pingian) . Arakel Kechian, Agn yev Agntsin, 1020-1915 [Agn and the People of Agn, 1020-1915], Volume A, Bucharest, 1942, pages 83-84. Roupen Sakabedoyan, Arevmdahayeren-Arevelahayren Nor Pararan [Western Armenian-Eastern Armenian New Dictionary], Dikran Medz Press, Yerevan, 2011, page 85. Arakel Kechian and Mgrdich Barsamian, Agn yev Agntsik [Agn and the people of Agn], Paris, 1952, page 139. Vidjagakroutyun Agna Kaghakin yev Polor Vidjagatsn, Kryal Hami 1847 [Survey of the City of Agn and All its Boroughs, Prepared in the Year 1847], February 11, Armenia, April 19, 1847. Hovsep Djanigian, Hnoutyunk Agna [Antiquities of Agn], Tbilisi, 1895, page 39. Kechian, Agn yev Agntsin, pages 86-87. Karekin Srvantsdyants, Toros Aghpar [Brother Toros], Volume 1, Constantinople, 1879. Djanigian, Hnoutyunk Agna, page 41; Kechian/Barsamian, Agn yev Agntsik, page 141. Djanigian, Hnoutyunk Agna, pages 39-41. Ibid., pages 41-42; Kechian/Barsamian, Agn yev Agntsik, page 161. Ibid. ; Djanigian, Hnoutyunk Agna, pages 41-42. Ibid. ; Kechian/Barsamian, Agn yev Agntsik, pages 161-162. Djanigian, Hnoutyunk Agna, pages 41-42. Kechian/Barsamian, Agn yev Agntsik, page 162. Djanigian, Hnoutyunk Agna, page 39; Kechian/Barsamian, Agn yev Agntsik, page 140. Djanigian, Hnoutyunk Agna, page 39; Kechian, Agn yev Agntsin, page 88. Kechian/Barsamian, Agn yev Agntsik, pages 645-730. Djanigian, Hnoutyunk Agna, page 43; Kechian/Barsamian, Agn yev Agntsik, page 151. Srvantsdyants, Toros Aghpar, page 249. Kechian/Barsamian, Agn yev Agntsik, pages 66-67. Djanigian, Hnoutyunk Agna, pages 45-46. Soukias Eprigian, Pnashkharhig Pararan [Dictionary of the Native World], Volume I, 1902-1905, page 241. Kechian, Agn yev Agntsin, page 34. Djanigian, Hnoutyunk Agna, page 48; Kechian, Agn yev Agntsin, page 30; Sourhantag, 1899, N. 71. Masis, September 10, 1882; Kechian, Agn yev Agntsin, page 30. Vidjagakroutyun Agna Kaghakin yev Polor Vidjagatsn…; Kechian/Barsamian, Agn yev Agntsik, page 88; Djanigian, Hnoutyunk Agna, page 50. Vidjagakroutyun Agna Kaghakin yev Polor Vidjagatsn…; Kechian/Barsamian, Agn yev Agntsik, page 96. Kechian/Barsamian, Agn yev Agntsik, page 100. Srvantsdyants, Toros Aghpar, page 251. Djanigian, Hnoutyunk Agna, page 53. Kechian, Agn yev Agntsin, page 43. Djanigian, Hnoutyunk Agna, page 55; Kechian, Agn yev Agntsin, page 39. Djanigian, Hnoutyunk Agna, page 58; Kechian, Agn yev Agntsin, page 50. Djanigian, Hnoutyunk Agna, page 60; Kechian, Agn yev Agntsin, page 52.